The Bandit comes in two forms, a cheaper Base Pack and a more expensive Premium Pack with a waterproof lens cover and extra mounts. For some, the world of extreme sports is as much about capturing and sharing the action as it is about the sport itself. The action is captured on small lightweight cameras, attached to a person or kit, and the best-known name in this market is GoPro. But GoPro cameras are not the only option, and there are some serious rivals. 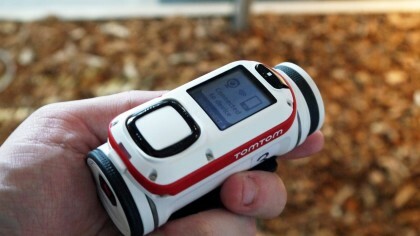 TomTom may be new to the field, but it has definitely done its homework with the Bandit. 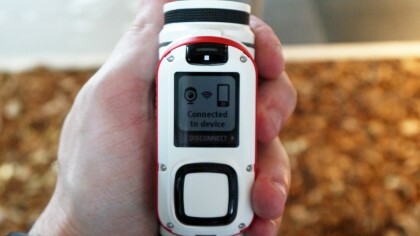 The striking white body is detailed with a red band which instantly makes the Bandit stand out. It’s not just about the looks, though, as this small camera features GPS, built-in motion and heart rate sensors, 4K video and slow motion capture alongside a breakthrough mobile app. 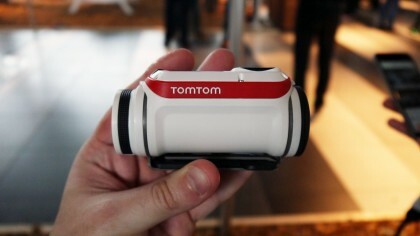 You only need to spend a short time with this camera to realise that the GoPro Hero now has a serious rival. The Bandit’s striking appearance is matched by its simple and straightforward operation. The Bandit really comes alive when you pair it up with its dedicated app. 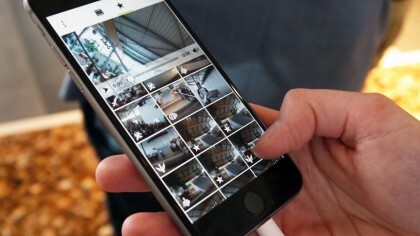 The app can display a streaming live view with very little delay. The Bandit’s biggest feature is the ability to create action-packed mini-movies automatically with a shake of your smart device. The Bandit doesn’t just shoot great video, it can also create great movies from your clips.